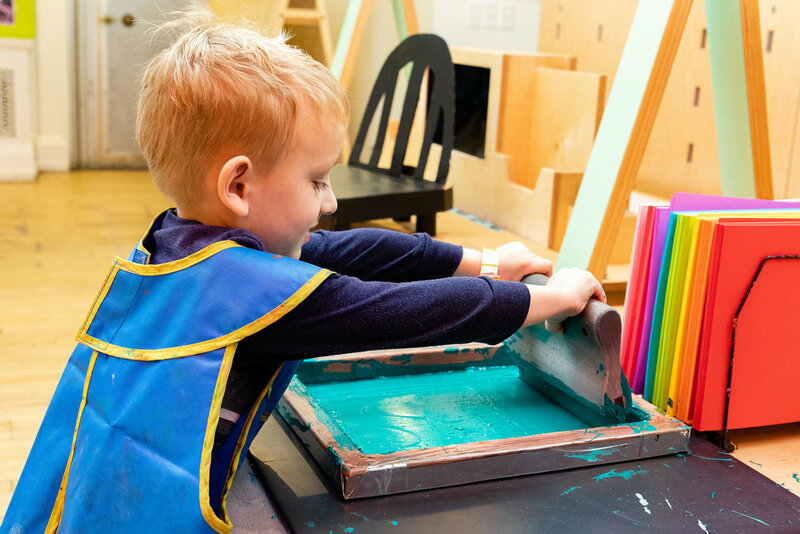 Children’s Museum of Pittsburgh has been silk screening for over 20 years, and it continues to be one of the most engaging art experiences for visitors of all ages. 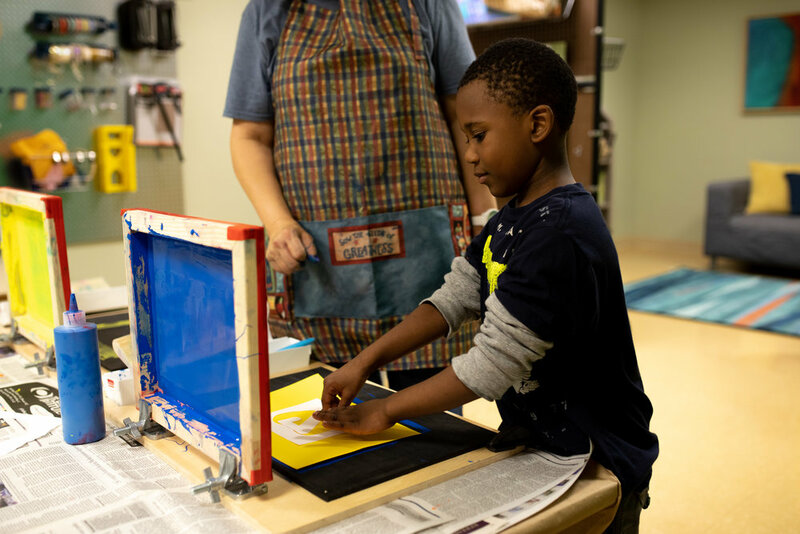 The custom built counter is equipped with two printing beds and under counter storage for supplies. 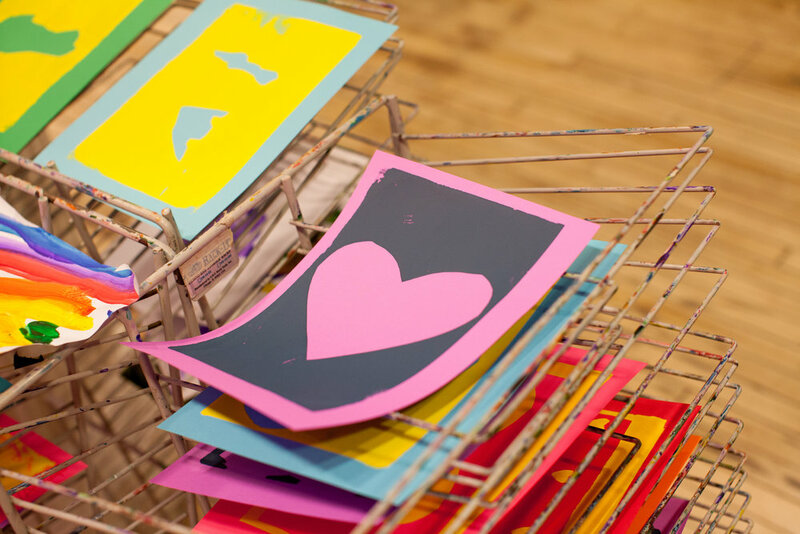 This type of silkscreen printmaking uses paper to make the image, so this can be done easily in a public setting. The unit comes with four blank screens, start-up supplies, and an instruction signage package. The counter measures approximately 56”L x 24”W x 26”H, and is fabricated with hardwood plywood and miscellaneous hardware. Access to running water is required. The activity is designed for a 150- 200 square foot space.